Step back in time for one night in aid for charity! 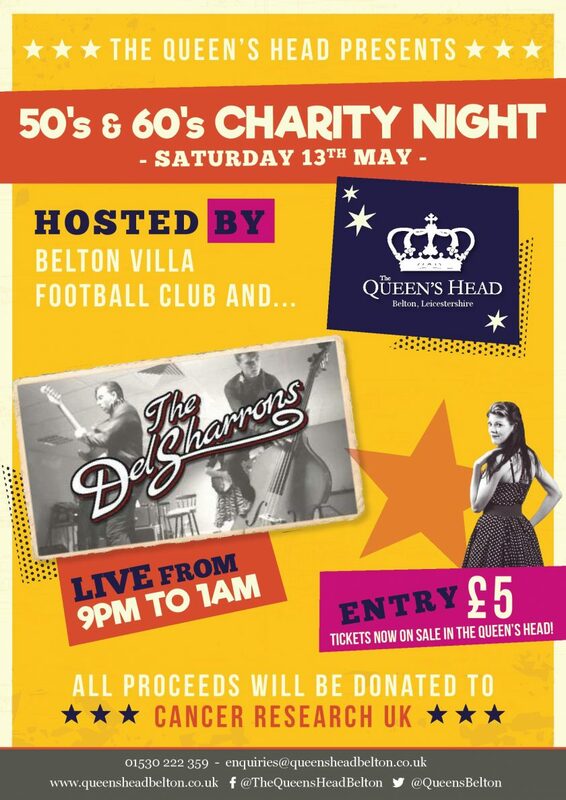 Together with Belton Villa Football Club, we are hosting an evening celebrating all things retro, with all proceeds going to Cancer Research UK. Keeping you dancing all night is rock ‘n’ roll band The Del Sharrons, covering all the best music from the era. Tickets £5 – for sale in the pub now!